Holly Kate Foss | i Love Facedowns! Facedown :: Wedding Day Style!! It was nearing the end of the night… and we had yet to do a facedown… but when the Colors Ceremony at Roche Harbor was happening seemed like the PERFECT time!! 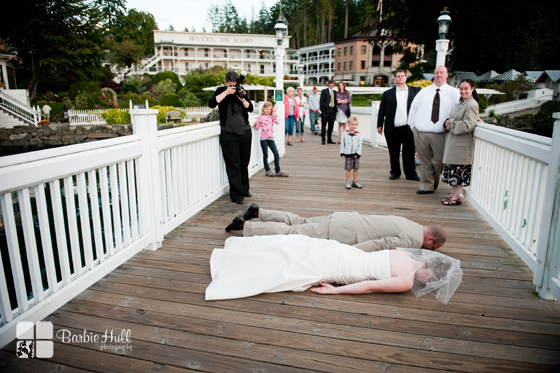 Caitlin & Dustin has JUST gotten married a few hours earlier and were SO excited – they went FACEDOWN!! CONGRATULATIONS C & D!!! It was SO fun spending the weekend with you!! !